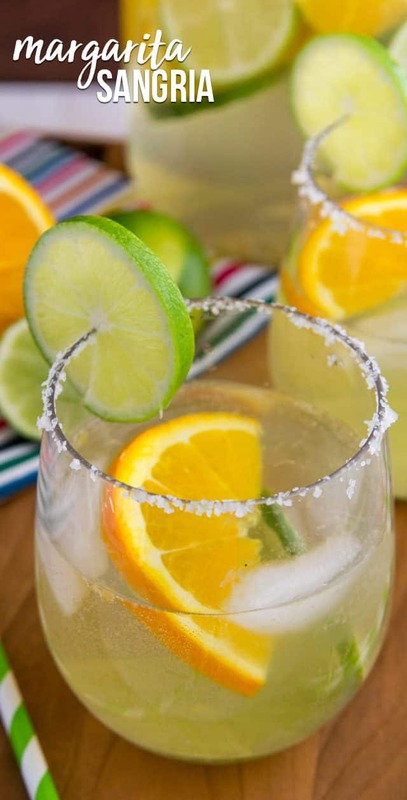 Make a white Margarita Sangria for your next party! 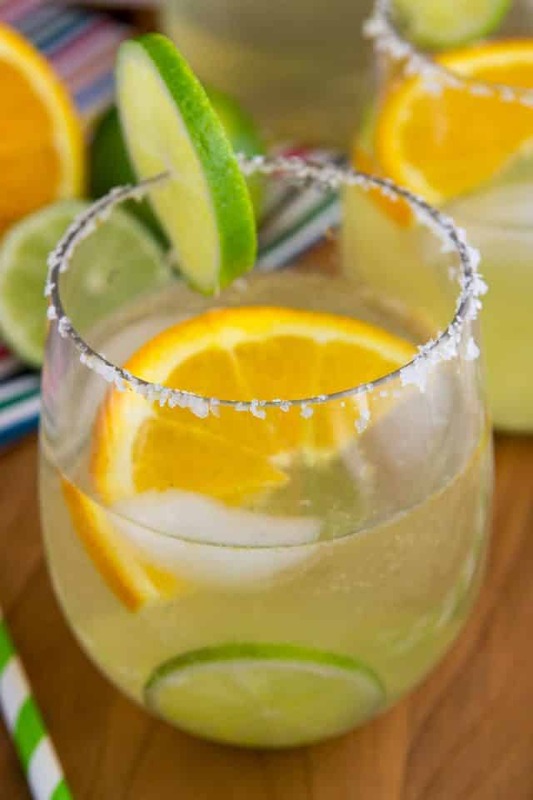 This easy cocktail recipe is the perfect combination of a classic margarita and a delicious sangria recipe. Sometimes I don’t want to choose between serving margaritas or sangria at a party…now you don’t have to! Let’s talk about sangria for a minute. It seems like a very grown-up drink to me, or am I crazy? I mean, as a teenager young 21-year old we didn’t go around drinking sangria from pitchers filled with fresh fruit. We bought $2 Boone’s Strawberry Hill. Or we’d splurge for a 6-pack of Zima. Remember Zima? Once I grew up and got married and started to go to grown-up BBQs and parties, sangria was always served, and I avoided it like the plague. To me, sangria meant red wine and a bunch of fruit, and OMG I hate red wine. Only since food blogging did I realize that sangria could be made with white wine. I was shocked, awed, and couldn’t wait for my next party so I could make my own. Fast forward 8 months and I made this delicious margarita sangria recipe. A cool and crisp white sangria is my perfect party drink: it’s a bit sweet with a little bubble, and it is full of my favorite: white wine. However, it always felt strange to me to serve something like sangria alongside tacos or fajitas at a dinner party. I love me a margarita, but I love wine and sangria more…so it was just natural to marry the two. This Margarita Sangria recipe has all the flavors of a margarita mixed with wine. It’s like my two BFFs came to live with me. My favorite way to enjoy a margarita is on the rocks, so it totally lends itself to sangria. Once you add in the citrus, it’s the perfect combination. So, how do you make the perfect Margarita Sangria recipe? Fruit: limes, lemons, and oranges. I love the colors using several citrus fruits adds. Wine: a bottle of your favorite sauvignon blanc. You don’t have to buy the most expensive bottle, but get something you’d like to drink plain. Tequila: use your favorite silver tequila for this recipe. 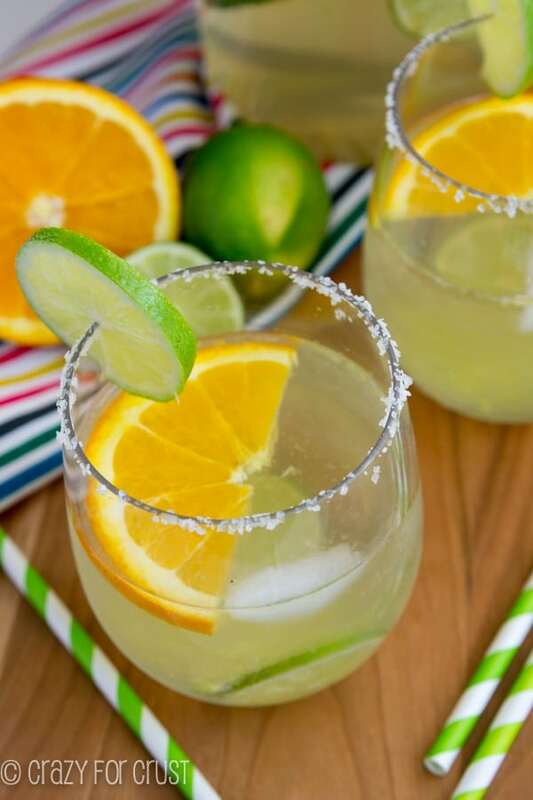 Margarita Mix: this adds a little sweetness and that telltale margarita flavor. Add all your ingredients (except the club soda) to a pretty pitcher and chill it for a few hours. You want the flavors to have time to mix. Then you just have to decide: with salt or without? I love a nice salty rim on a sweet margarita. 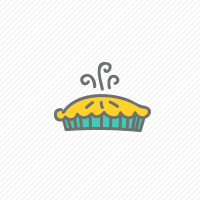 It balances the flavors nicely. This margarita sangria would be perfect next to a huge plate of nachos and fajitas and tacos and beans and guacamole…or just because you want an excuse to drink tequila and wine together. Stir together the wine, tequila, and margarita mix in a large pitcher. Add sliced fruit to the pitcher. Chill until ready to serve. Before serving, add cold club soda to the pitcher. 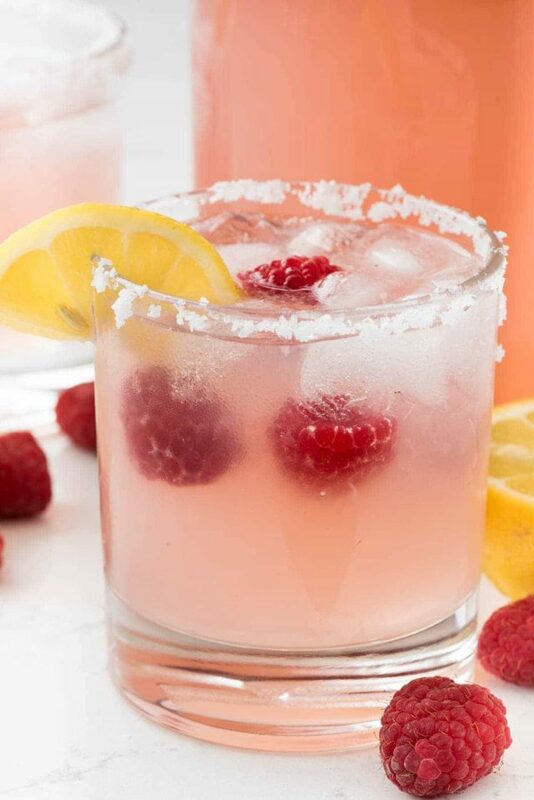 Serve over ice with a salted rim, if desired. To salt the rim, wipe the rim of the glass with lime then dip upside down in salt. Click here to see more DRINK recipes! Or, check out some favorites from a few of my friends: Tropical Margarita Sangria or a plain old (but delicious) White Sangria. 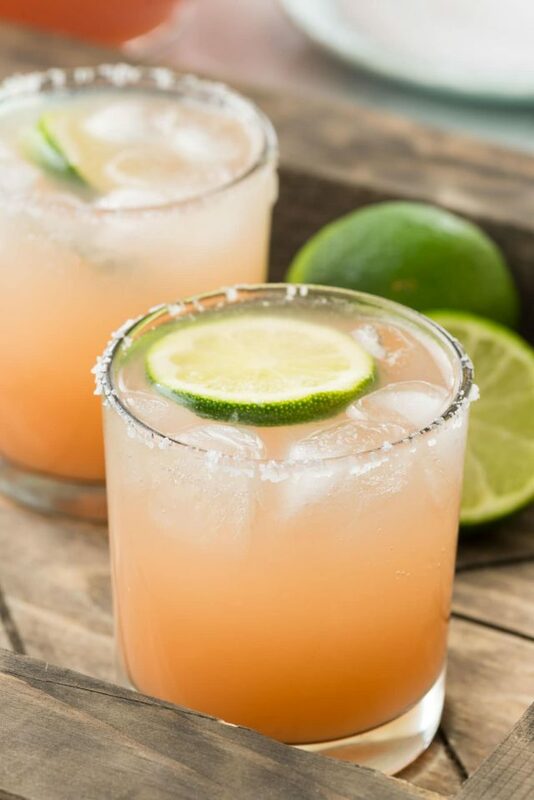 Watermelon Lemonade Margarita is perfect for summer! Raspberry Lemonade Margarita uses my favorite drink: lemonade! 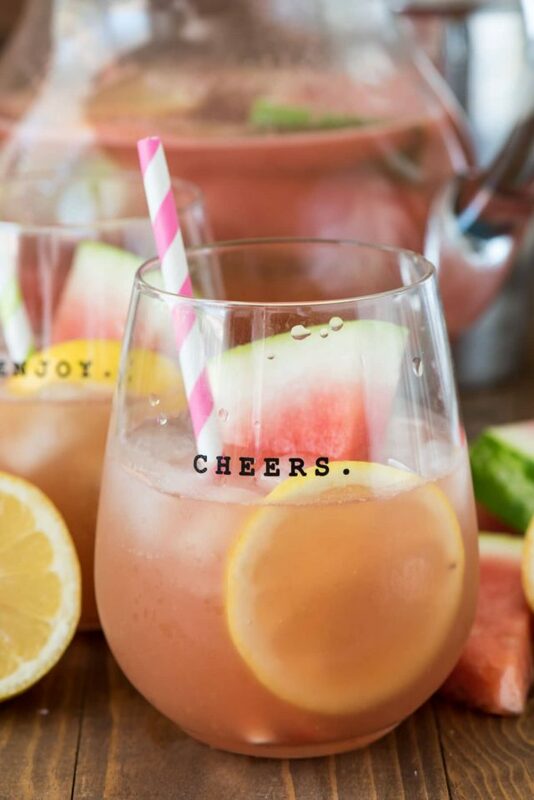 Salty Dog Punch – for those of you who love grapefruit! Really very impressive recipe, I am going to try this today. I like these types of cocktail recipes and enjoy it with my friends. I love cocktails and mocktails recipes, I have also written a post on How to make Pina Colada. Love Sangria. Love margaritas. Logic would suggest that I would love them in combination as well;) YUM and perfect for cinco de mayo (taco day!!!)! Wow all the best things in one!! I WANT!! Tequila and wine, kinda sounds like a messy one 😉 but I am down!!! That stew would be perfect for these extremely cold days!!! I love this recipe. I honestly think that the margarita and sangria combination is great. I will try making this cocktail one of these days. Made this for my daughters Fiesta Bridal shower. Received many compliments. This Sangria is light and delicious with a bit of a kick. I highly recommend it.